Our Valentine’s Day Dinner Special will be served from February 10th-14th. Make your Reservations Now! 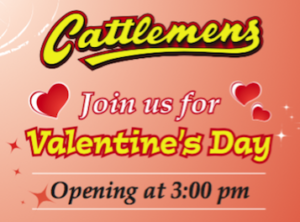 All Cattlemens locations accept Reservation Online- Choose your location at the link here. 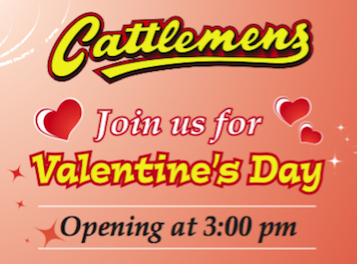 A Cowboy Gift Card is a perfect way to say “I Love You”. Custom Designs, buy now, send now! Purchase yours online at the link here!